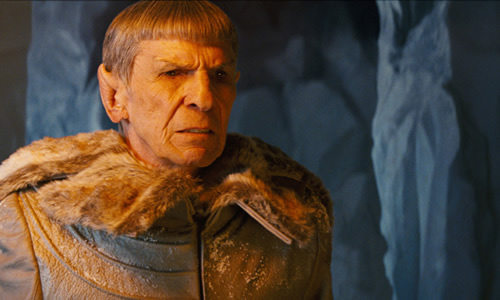 Will Old Spock Reappear In The Next Trek Movie? Leonard Nimoy was in JJ Abrams' Star Trek not because he was appeasing old fans and passing the torch to a new Spock. Its because he's marketable! I have no illusions on whether or not they need me. They decided that they wanted to make this film using Spock as kind of an anchor for the story, which I think worked very, very well. They don't have to do that again. If they decide they have a role for me to play, I would be very interested in talking to them about it... My sense is that he has some work to do. He talked about establishing a new Vulcan colony, and I think he will be very involved in that. If we never see him again that is what I would imagine he is doing. He is busy rebuilding the Vulcan story. Should he really be in the next movie? Should the Shat be in as well?